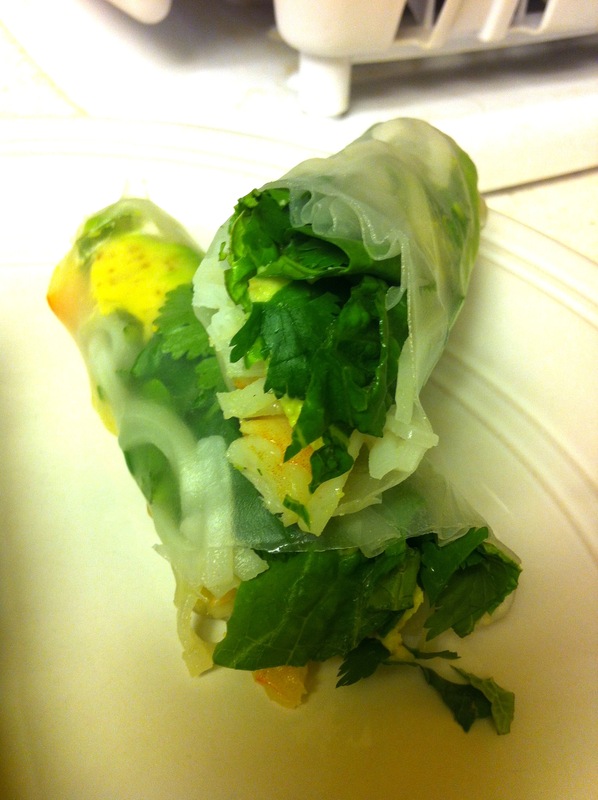 I have always loved fresh spring rolls. There is a vendor at the West Tisbury farmers market that sells amazing fresh and fried spring rolls- they are always sold out. Why I have never tried to make these delicious little rolls my self is beyond me, now that I know how EASY they are to make. I looked up a few recipes on how to do it but none of them had all the ingredients I love- so I made up my own. The best part though is you can put anything you like in these and make them your own! Enjoy! Bring a medium saucepan of water to boil. Boil rice noodles 3 to 5 minutes, or until al dente, and drain. Add chopped basil, mint, cilantro and lettuce to your taste, leaving about 2 inches uncovered on each side. 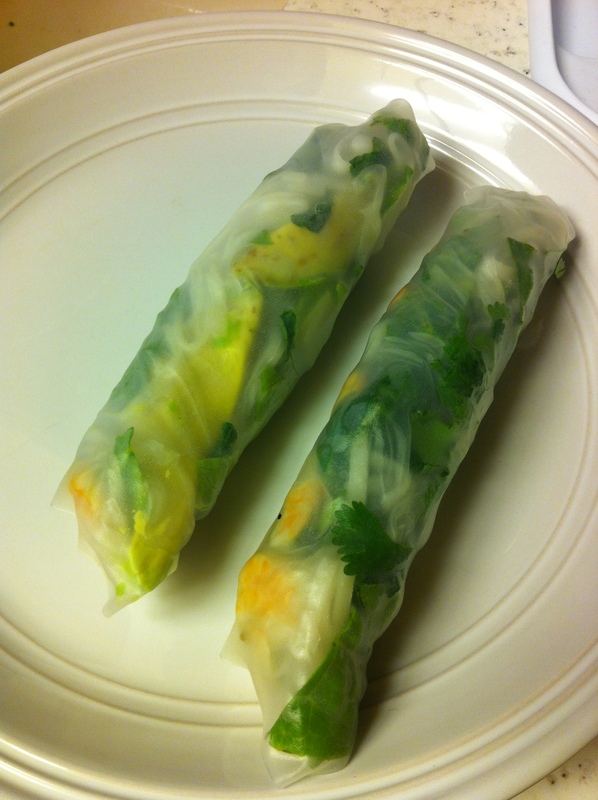 Wet a paper towel and cover spring rolls with damp towel until ready to serve. For sauces- Any and all are great with the rolls- pick which flavor combo you prefer or use all three. 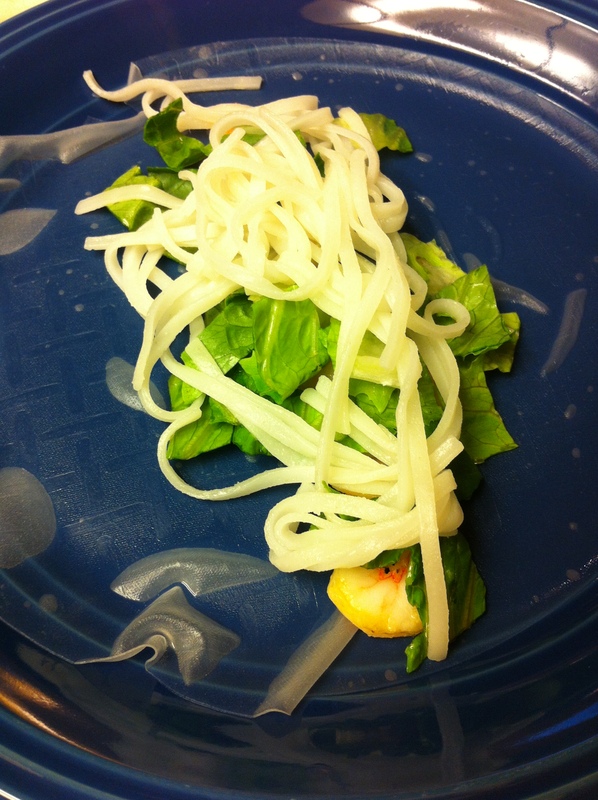 This entry was posted in Appetizers, Recipes, Sides and tagged avocado, Shrimp, Spring Rolls by skibootsinthekitchen. Bookmark the permalink.